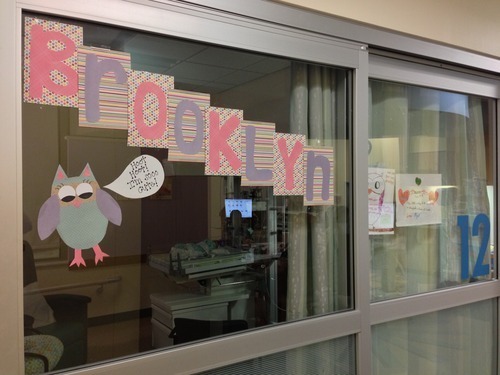 Corrie eventually joined Brooklyn and me at Dell Children’s on 11/17/12. We were very thankful that she healed so well and was able to be discharged so quickly! Corrie had only held Brooklyn for 5 seconds, literally, at Seton because she stopped breathing, so they had a lot of catching up to do when she arrived at Dell. I’ll never forget when Corrie arrived at Dell and really got to hold her for the first time. Corrie’s anxiety dissipated and the nurse noted that Brooklyn’s heart rate dropped (safely) to a level she hadn’t seen her at before…Brooklyn was relaxed too. Once Corrie got to Dell we started settling in. We had a room to sleep in every night and our hands were always clean after having to ‘scrub in’ 100 times each day. Ok, maybe only 10 times each day. The doctors and nurses were trying to keep her comfortable and help her progress along while we waited for more answers from pending tests. Brooklyn was extubated (breathing tube removed) and nourishment and meds that were being given through an IV switched to a feeding tube. They also stopped the EEG scan and determined the anti-seizure meds were working great…she hadn’t had a seizure since she was at Seton! 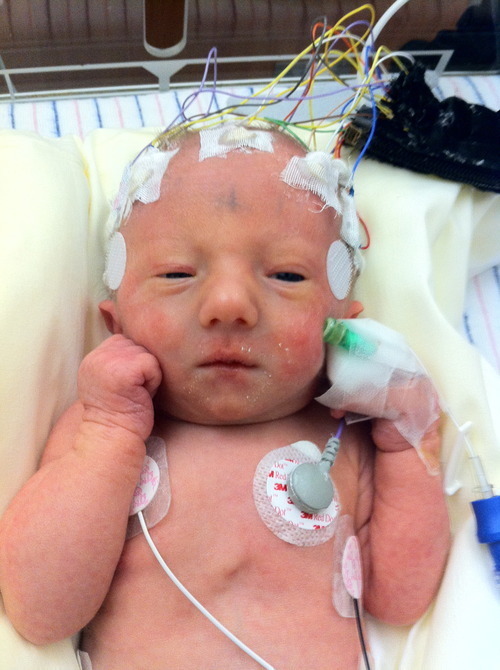 Corrie and I lived in the NICU and got to know a lot about how she was being taken care of. 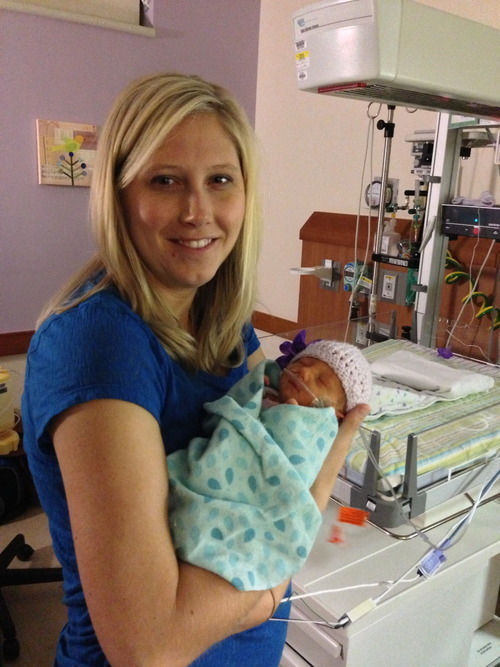 The NICU staff also became part of our family…they really are amazing people. This is how life looked until one of the big test results came back the day before Thanksgiving, 11/21/12.